He dared to venture into the Natural Park of Sierra Helada to the island Mitjana is a small adventure marked by a unique landscape that will not leave you indifferent. 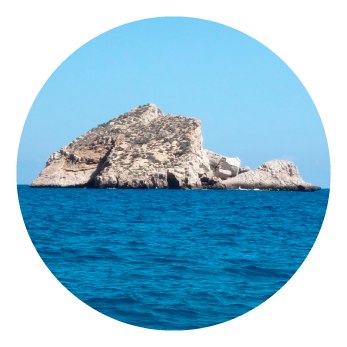 Sheer cliffs of four meters high will we feel small, and accompanied by different species of seabirds, reach the island Mitjana or the Octopus Island (due to the abundance of these cephalopods). This tour requires about 4 hours and a state of form, and only take place to ensure optimal conditions of the state of the sea. KAYAK CAPTAIN THE RIGHT TO MODIFY OR SUSPEND THE TRIP BY WEATHER CAUSES AFFECTING SAFETY (WIND STATE OF SEA, ETC) RESERVES RETURNING THE FULL AMOUNT. DURING THE EXCURSION WILL BE RESPECTED DECISIONS TAKEN BY THE GUIDE.